January; I think it is safe to admit that we all feel a little bit glum this month, right? Christmas festivities are well and truly over, it is no longer acceptable to eat chocolate for breakfast and all the excitement of spring and summer feels like a million miles away. Thankfully, I live in this wonderful city called Birmingham - if the blog name hadn't already given it away. Although it may be more difficult than usual to wear a big smile on your face and enjoy the little things in life during January, thanks to Brum, there's always somewhere to make us feel happy. 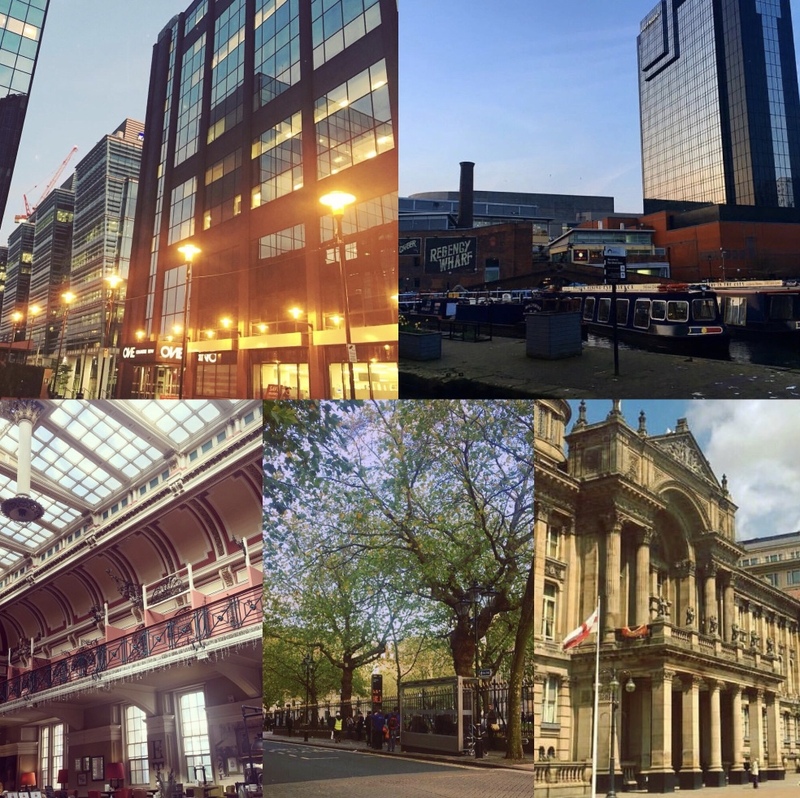 I've asked fellow Brum Bloggers where in the city they feel most happiest, as well as choosing a few of my own, to give you ideas of where to spend this gloomier time of year - enjoy! For me, BMAG is by far one of my happiest places in Brum. Not only do they have a whole host of incredible exhibitions all year round, it is a wonderful place full of character and fun. Visitors can discover all about Birmingham and it's history, as well as enjoying a wide range of other elements to the museum. The Edwardian Tearooms within the museum is also one of my favourite places to head for a bite to eat. I think what I love most about BMAG is that, despite being right in the middle of the city, it is a calm, tranquil place where you can get lost in your own thoughts. Colmore Row may be full to the brim with cafes, restaurants, bars and shops, but for me, I don't have a particular favourite place on the street. What makes me happiest is the feel that never goes away; from AM to PM, from winter to summer, Colmore Row has an infectious vibe that could easily be mistaken for a super cool spot in Paris. As well as it's array of places to explore, it is also home to Birmingham Cathedral and the Cathedral Square, known locally as 'Pigeon Park'! If you've never spent a few hours strolling around Brindleyplace, you're seriously missing out because for me, it is by far one of Brum's best spots, and for me, a place that makes me happiest. I used to work close by to the area, so have spent a lot of time there in the last few years and it really is a wonderful area. As well as a huge range of restaurants and bars in the area, it is also right on the canal which is wonderful for a winter walk. Also home to the Ikon Gallery, Symphony Hall and Birmingham REP Theatre close by, you can find something for everyone to enjoy in the area. Hence why it is by far one of my happiest places! 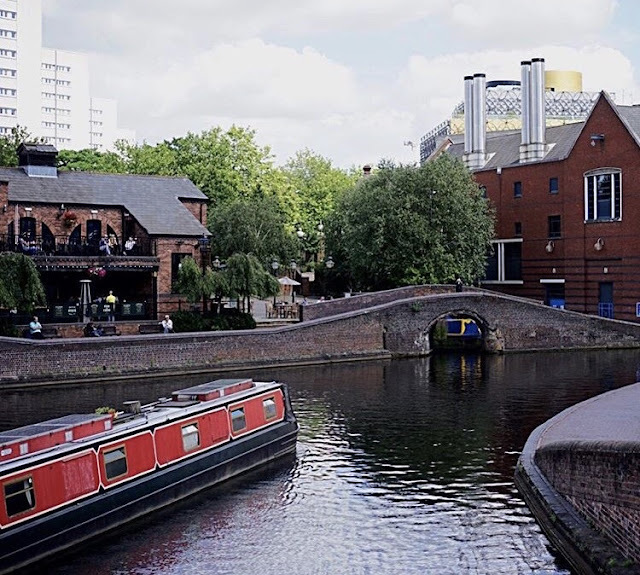 We get told Birmingham has more canals than Venice, but have you ever taken the time to explore them? It wasn’t until I moved, nearly three years ago, and the canal was pretty much on my doorstep that I realised what a treasure they are; the canals allow me to get away from it all, without getting away from it all. Which sounds like a contradiction but really its that it’s the best of both - a city, with all it’s hive of activity, threaded together by these tranquil canals punctuated by the occasional person walking or cycling, and the odd heron. The canals give me moments of calm without having to escape the city, reviving me and readying me to face the bustle of the city. But they also provide awe; of the city’s history, it’s creativity, of the beauty of nature, the magic of engineering. And if you walk along the Worcester & Birmingham canal to Bournville, you get to see a chocolate factory too. Where do I begin to tell you about the ace place that is Impact Hub Birmingham where I base my social enterprise RnR Organisation? It’s difficult to compare it to anything similar in the city because it is so different. It is a business, a co-working space with hireable event spaces, but it’s not about making huge profits. The co-founders also try to accommodate people who can’t afford to pay for space in a central location e.g. through the weekly free Open Project Night – that’s how I run the monthly tech for social good meetup Net Squared Midlands. It’s an inclusive place for entrepreneurs, innovators, creatives and change-makers, including parents/guardians of small children. Members organise events such as Yellow Wednesday film nights to stimulate change and to encourage people to connect with each other around new ideas. Members know that there are boundaries in society, sometimes quite rigid ones, but in and through Hub they feel emboldened to take risks and try new things. Members are encouraged to be social with each other and with newcomers, both in person at regular times during the month like Food for Thought, and via a members WhatsApp group which buzzes with news and views. 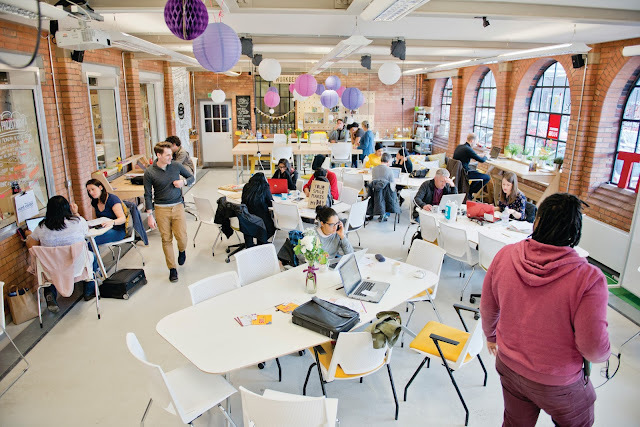 Although this Hub is geographically based in Digbeth, because members also live, work and socialise elsewhere as well as having access to Hubs in 60 other cities globally, the Hub collaborative mindset influences other parts of Birmingham, the UK and the world for the better. Tours are available every week - try it on for yourself! January can be a grey and depressing sort of affair in Birmingham. There are plenty of restaurants with great 50% offers on, but if you’re looking for something to do on the weekends, you might be at a bit of a loss… Well fear not! Birmingham’s most overlooked (and cutest) attraction is open from Monday to Sunday, from 10am until 4pm (last admission 3pm) to put the pep back in your step! The Birmingham Wildlife Conservation Park (formerly known as the Birmingham Nature Centre) is just £6.25 for adults, £5 for concessions and £3.30 for children (up to the age of 15), making it a budget busting afternoon out. As well as several species of monkey, creepy crawlies, meerkats and otters; it has two star attractions in the form of a family of red pandas and four lynx’s. Attached to Cannon Hill Park (and offering its own parking area), this small but perfectly formed city zoo will take you around a couple of hours to get around with a family in tow and you can take your own packed lunch or flask of tea in with you. There is a little cafe within the venue, if you would rather grab something warm during your adventure. As well as a menagerie of animals, there is a lovely play park for children (or the young at heart) and a regular schedule of feeding times to see the animals at their best. I would definitely recommend planning a visit around the lynx and panda feeding times, as they can be a little shy if the weather isn’t the warmest! As the biggest urban park in Europe, Sutton Park is a real gem for Birmingham. This sprawling nature reserve in Sutton Coldfield (just a 20 minute train journey from the city centre) is the perfect antidote to busy city life: a space to walk, breathe and reconnect with nature. Go through any of the gates (there are eight in total) and the grey hubbub of the city is soon left behind, as you breathe in the sweet, damp air of the forest floor, surrounded only by the sound of birdsong, squirrels rustling in the leaf litter and friendly greetings from passing dog walkers. You can bask in the sun beside the lake when the weather is good, or shelter from the rain under a canopy of trees. For those seeking fun and adventure, you can learn to kayak out on Blackroot Pool, play golf, go fishing or even sailing. For the young (and young at heart) there are playgrounds and copious trees to climb. Look a little closer and you’ll discover a place full of history, from the Neolithic tools found near Bracebridge Pool, to the remnants of the Roman road, to King Henry VIII’s hunting ground. The park teeming with wildlife too, from squirrels and rabbits, ducks and migratory water birds, including the crested duck (or afro-duck as it is affectionately known) to wild Exmoor ponies. From time to time there is also a resident cattle population, and there’s even a donkey sanctuary within the grounds. To eat, Blackroot Bistro, located in a pretty little spot near Blackroot pool, does one of the best Full English breakfasts in Sutton, perfect for fuelling up before exploring the eight miles of parkland. The Boathouse at Bracebridge offers brasserie style dining at lunch or dinner, while on the edge of Powells Pool near Boldmere Gate, sits Miller & Carter steakhouse. Though if you want my recommendation, pack a picnic and find a spot where you can lie on the grass and stare at the clouds. Those seeking solitude and quiet contemplation will be at home here as the adventure-seeking family with children and dogs in tow. 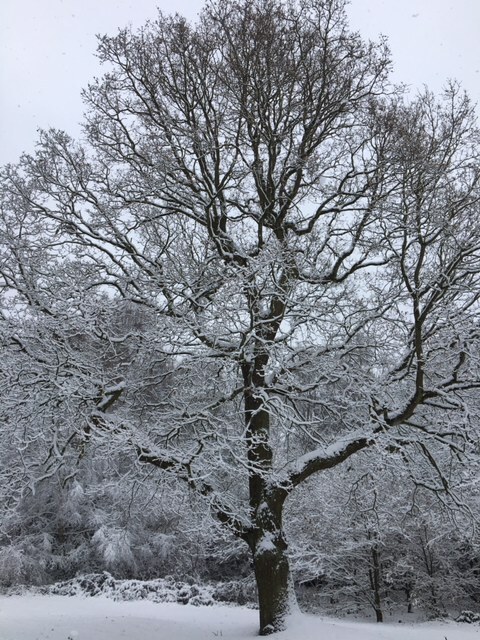 It even looks beautiful in the snow. Originally built in the 1820’s to provide a water supply to the nearby towns, the lakes took five years to build from the labour of prisoners-of-war from the Napoleonic Wars. I must have visited my place of peace at least ten times this year. I don’t ever see myself getting tired of visiting the views that is the Earlswood Lakes. I always spot new finds on each visit; the discovery of three lakes, new walking paths, admiring the long gardens that back on to the lakes, new wildlife and fishermen patiently waiting for their finest catches. I’ve visited during all seasons of the year; id never need an excuse to visit. My most favourite time to go has to be on a dry, crisp evening (dependant upon the time of year) when the sun is about to set; the way the warm colours of the sunset reflects onto the lakes waters is truly magical. The lakes are perfect for a good stroll, a jog with your dog and even for a spot of fishing. Get those walking boots on and pay the lakes a visit if you can and get trailing through its beautiful nature.